Bautafilm | Boom Boom (2018) 15 min. Boom Boom (2018) 15 min. The year is 1944, it is World War II and Norway is occupied by the Nazis. Two Samis help the Norwegian resistance movement with a sabotage in the border areas between northern Sweden and Norway, but the bridge they want to blow up is guarded by a soldier in German uniform. A Sami in German uniform that they recognize. The two Samis are now in a hurry to prevent the attack. But the bomb is already in place, and the mystery of the Sami in German uniform grows. 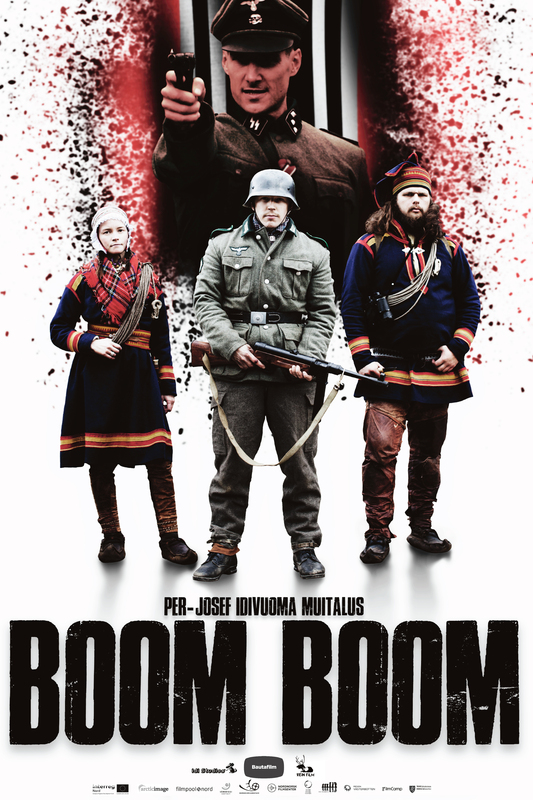 An action drama about 3 Samis that kills a Norwegian resistance woman and is discovered by a German officer. A reasonably reality-based short film about the war in the north, Operation Sepals, which was helped by the reindeer-hearding Sami people as of the Nazis, was seen as a peaceful people without nationality. Cast: Oscar Skagerberg, Ingá Elisá Påve Idivuoma, Pavvá Pittja, Ida Löken Valkeapää, Lars Henrik Idivuoma. Financed by Film i Västerbotten, Filmpool Nord, Int. Samiskt Filminstitut, Nordnorsk Filmsenter, The Sami parliament in Norway and Sweden, Arctic Image/Film Camp.